In a Social Security Disability Insurance (SSDI) claims case, there is a good chance a claimant will have to have a hearing before an administrative law judge (ALJ). 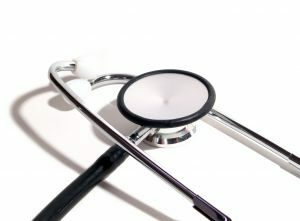 At this hearing, there will likely be a person known as vocational expert or “VE.” There will also likely be a doctor who serves as a medical consultant for the ALJ and the Social Security Administration (SSA). When claimant first files and application, it will likely be denied as are most applications. SSA has less money than it needs in its budget, largely due to political reasons, and stretches out the money in the disability fund by denying many qualified claimants and when the agency does award benefits, it takes as long as possible to do so. This is not necessarily fair to claimants in need, but that is often how the system works. The best thing a claimant can do is to speak with an experienced Social Security disability attorney in Boston as early in the process as possible. It is often much easier to get things right from the beginning than having to go back and fix mistakes that have already been made. This is not to say that if a claimant waited to be denied, they should not still call an experienced SSDI attorney because there may still be a lot he or she can do to improve claimant’s situation. After the initial application is denied, claimant will then file a request for reconsideration. This is a peer review evaluation of claimant’s initial application and it is exceedingly rare for an application that was denied at the initial stage to be approved at the request for reconsideration stage. The next step in the process is to apply for a hearing before an administrative law judge. In this hearing, ALJ will hear from claimant’s witnesses and also from a vocational expert and the doctor hired by SSA. The vocational expert will answer hypotheticals so he or she is not generally directly talking about the actual claimant. ALJ will essentially ask questions like are there any jobs a person who cannot stand for than two hours in a period work? There will be a line of questions like this and vocational expert will use an outdated book called the Dictionary of Occupational Titles that was first written in the 1970s and last updated years ago to see if there is a job in the national or local economy that claimant can work. It doesn’t matter if claimant will make way less money at one of these jobs because as long as person can make over approximately $1,020 a month, they are considered gainfully employed by SSA. A recent case from the U.S. Court of Appeals for the Ninth Circuit, involved the issue of whether a claimant must challenge the vocational expert’s opinion during the administrative hearing in order to preserve this appeal in federal court. This deals with not only issues involving vocational experts, but also the concept of preserving an issue for appellate review. If the ALJ makes a ruling denying claimant’s Social Security disability benefits, claimant can ask the SSA review commission to look at the case and see if they will overturn ALJ’s decision. This is discretionary review and the agency may decide not to do so. Claimant’s must then turn to the U.S. district court in the jurisdiction in which the venue is proper. In our area, there is a district court in downtown Boston on the harbor. If this appeal does not go well for claimant, claimant can then file an appeal of that decision before the U.S. Court of Appeals for the First Circuit if the case occurred in Massachusetts. In most appeals, the court will not retry the case. The feeling is that the trial judge was in the best position to review the facts so they will not overturn a case unless there was a harmful error of law committed by trial judge. In this case, claimant did not raise the issue of whether vocational expert’s job numbers and then tried to raise that as a concern during the appeal. The court determined that claimant had not adequately preserved the record for appeal and affirmed administrative Law Judge’s earlier denial of claimant’s benefits. The court also reasoned that ALJ’s denial based upon vocational expert’s testimony was proper and supported by evidence included in the record. While this claimant was considered not to be disabled within the meaning of the statute, it is quite clear that claimant was physically disabled. Claimant reported suffering a lumbosacral degenerative disc disease, depressive disorder, anxiety disorder, obesity, and osteoarthritis. Claimant was also suffering from insomnia, high cholesterol, and high blood pressure. From the time it took to file his case and get a hearing before an ALJ, nearly two years had passed and this is fairly consistent with standard operating procedure and SSA. Vocational expert specifically found claimant could work but not as a cashier at a retail store which was his previous job before the date of the onset of disability, but he could work at another job that was listed in the Dictionary of Occupational Titles.